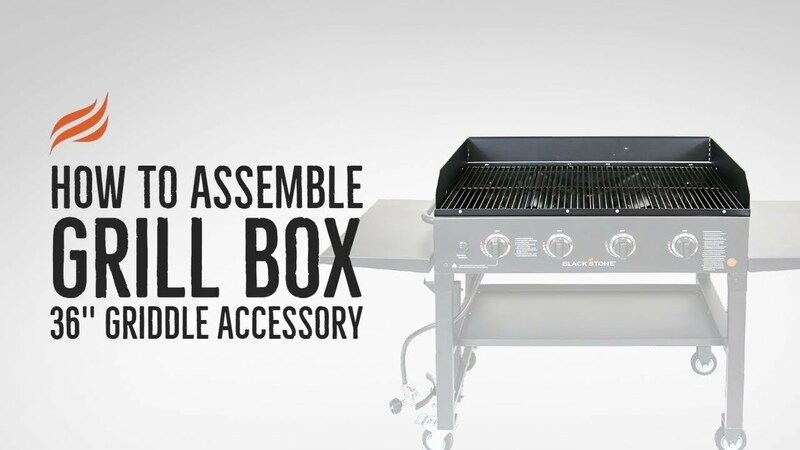 The Blackstone 36″ Grill Box is custom designed to fit on the Blackstone 36″ Griddle/Grill Base. The top offers 680 sq inches of cooking surface; wire grill with non-stick coating; includes wind screen and drip tray. Very good griddlei really enjoy the griddle, it's taking awhile too get the whole griddle seasoned, but is alot of fun too cook on! Best Cooking product company EVER!! !Recently purchased the 36" griddle from Blackstone. Only feature I did not like is the Propane only, Until they made the Gas conversion kit... Thank you BS... Also Michele in Customer Service called me to let me know when the kit was available for purchase... Keep it up BlackStone I will be purchasing more equipment from you for sure!!! How about a Grill Box for the 22" as well?We have a 22" Black Stone griddle, that we use when we go on our RV camping trips. We love the griddle, but also missed the ability to grill steak and chicken. It would be great if you guys can make this grill box for the 22" griddle.